Effective March 28th, 2005, the Labor Certification regulations and procedures will be completely changed. The new system, known as PERM, will now be the controlling method of filing for Labor Certification. The PERM system envisions the adjudication of Labor Certification applications at a much faster pace than under the current system that includes Reduction in Recruitment (RIR). Under PERM, over time, the Department of Labor is hoping to be able to certify cases within 60 days of the filing date. Under the current regime, applications are taking up to two years! However, cases filed under the current RIR method are being worked on a bit faster due to the addition of "backlog reduction centers." Whether the Department of Labor will be able to initially process PERM-filed cases at such a fast pace remains to be seen. We believe it will initially take several months for adjudications until the system is fine-tuned. If you wish to file under the current rule, before PERM takes over, your application must be perfected and filed before March 28th, 2005. The major difference between RIR and PERM is that under PERM, in many cases, the advertising and recruitment requirements are much more stringent and difficult, and also more costly. Should You File under the Current RIR Rules or under PERM? That is a complicated question. 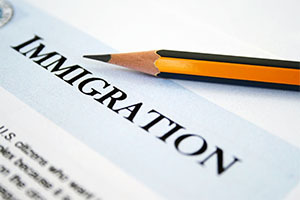 You should contact an experienced NJ Immigration Attorney to answer that question for your individual circumstances. Call us to make an appointment for a consultation on PERM. Requires the new form ETA-9089. At first you only file the application form. None of the recruitment documentation is sent. This is only filed upon request if your case is AUDITED. Your case will only be audited if either there is an issue with your case, or, at random. Only 20% of the cases will be randomly selected for audit. In order to file as a "Re-filing," to maintain the old priority date of a previously filed application, the original case must have been filed prior to the effective date of PERM regulations. You can "withdraw" the old case and refile, with a request to maintain the original priority or filing date. New applications must be for the identical job opportunity and made within 210 days of withdrawal of prior application. You indicate your desire to use the previous priority date on the new application form, and if you do so, the old case will be withdrawn regardless of whether the request to recapture the original filing date is approved! A copy of the original application must be sent when requested by the Certifying Officer (CO). The job opportunity is considered identical if: the employer, alien, job title, location, job requirements, and job description are all exactly the same. All recruitment steps must be done within 6 months of filing. It is mandatory that there be two print advertisements, both on Sundays, and a job order for 30 days in the Department of Labor Job Bank. They must have been placed at least 30 days and no more than 180 days before filing. At a minimum, PERM requires a Job Order in the Department of Labor Job Bank and two Sunday newspaper ads within 6 months of filing. The ads must have run at least 30 days before and within 180 days of filing. You do not need to have 3 additional steps as with professional positions. Professional means requiring a bachelor's degree. Therefore, for non-professsional positions, the recruitment is less stringent. For all cases, you must obtain a Prevailing Wage Request from the local State Workforce Agency (SWA). If you wish to use your own or independent survey, you must still send it to the SWA with a Prevailing Wage Request for approval of that survey. If you do not like the initial determination, you have the right to request reconsideration with additional supporting documentation of your position. Otherwise, you can appeal the decision to the Regional Application Center.